So unlikely did the election of Donald Trump seem to Washington and its denizens that the reality of it still has not sunk in. All of the city’s worst traits—the self-regard, the group think, the obsessions with trivia, the worship of credentials, the virtue signaling, the imperiousness, the ignorance of perspectives and people from outside major metropolitan centers and college towns—not only persist. They have been magnified with Trump’s arrival. There is so much negative energy coursing through the city that circuits are overloaded. That the president still draws support from the coalition that brought him to office, that a fair number of people see his policies as commonsensical, seems not to affect any of Trump’s critics in the least. They will press on until Trump behaves like they want him to behave. Which means the war between the president and the Washington establishment may last a very, very long time. Many of my commenters made the same complaint. No staff shakeup that leaves unresolved or unmanaged the flaws of the principal, that does not address Donald Trump’s penchant for self-immolation, will have any positive effect on this White House. You cannot blame your communications staff for flawed messaging when they are afraid to leave you alone in a room with visitors and shake in their boots when they see you walk toward the residence at the end of the day. You cannot lament the disorganization of the West Wing when you refuse to establish and adhere to clear lines of authority. You cannot bemoan the lack of recognition you receive for your achievements when you create distractions for the media to latch on to. Until someone in the White House is willing or able to tell the president no, until the president listens to that person and respects them to such a degree that he does not turn against them within 24 hours, the atmosphere of paranoia and hysteria that has enveloped Washington will not subside. Note to commenters: I love it when people have an open mind. Today I read that Trump’s speech in Saudi Arabia was quite dignified. If he keeps this up I may be defending him a few months from now. Let’s hope so. Few people of any quality or experience are going to want to join a team that is toxic. Nobody is going to want to become the next H.R. McMaster, a formerly respected figure who is now permanently tainted because he threw his lot in with Donald Trump. Nobody is going to want to join a self-cannibalizing piranha squad whose main activity is lawyering up. . . .
[O]ver the past 10 days the atmosphere has become extraordinary. Senior members of the White House staff have trained their sights on the man they serve. Every day now there are stories in The Times, The Washington Post and elsewhere in which unnamed White House officials express disdain, exasperation, anger and disrespect for their boss. . . .
Trump, for his part, is resentfully returning fire, blaming his underlings for his own mistakes, complaining that McMaster is a pain, speculating about firing and demoting people. This is a White House in which the internal nickname for the chief of staff is Rancid. The organizational culture is about to get worse. People who have served in administrations under investigation speak eloquently about how miserable it is. You never know which of your friends is about to rat you out. No personal communication is really secure. You never know which of your colleagues is going to break ranks and write the tell-all memoir, and you think that maybe it should be you. . . .
As current staff leaves or gets pushed out, look for Trump to try to fill the jobs with business colleagues who also have no experience in government. It’s striking that the only person who this week seems excited to take a Trump administration job is Milwaukee Sheriff David Clarke, who made his name as a TV performance artist calling the Black Lives Matter movement “black slime,” and who now claims he has been hired to serve in the Department of Homeland Security. I hope I’m wrong, but I don’t see how this ends well for the GOP. As usual, if you want non-Trump material you need to read my Econlog posts. PS. I will have a big announcement tomorrow about an NGDP prediction market. This entry was posted on May 21st, 2017 and is filed under Trump Derangement Syndrome. You can follow any responses to this entry through the RSS 2.0 feed. You can leave a response or Trackback from your own site. « Where are the Trump supporters? Hypermind already sent out the email! I read somewhere that people who’ve worked for Trump before say that his management style is to keep underlings worried that they might be fired any minute, and to set them against each other. Doesn’t sound like a place most people would want to work, but in private industry Trump could offer enough compensation that sharp people would take the job anyway. Government salaries are much more limited, so you can’t mistreat your employees or they’ll walk. It certainly seems that by not letting his communications people do their jobs without undue interference, Trump is hurting himself a lot. 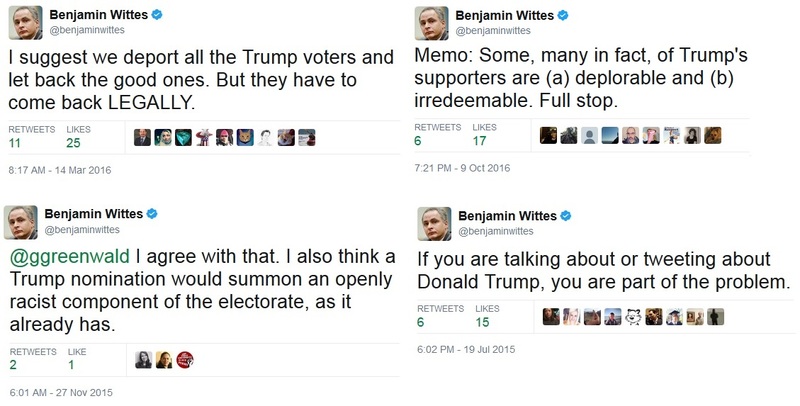 It’s true that tweets provide a way to get stuff out there that the partisan press would rather not report on, but the tweets would be more effective if Trump would at least have his communications people review them before he sent them. The White House has got to speak with one voice, i.e., whatever messaging it’s doing has to be consistent across outlets. Trump is not paying attention to what his own people put out, presumably with his approval, and he keeps contradicting it. But while this is incompetent messaging, it’s not criminal behavior. It can be fixed pretty easily. I love Scott’s contradictions. He doesn’t believe in moral absolutes – only probabilities of right and wrong or put in another way his faith is in happenstance. But as long you agree with Scott you are ABSOLUTELY open minded. And if you don’t agree with him you are not open minded. That’s what I call ABSOLUTELY open minded! The GOP has the advantage of being a party built around ideology rather than personalities and interest groups. (That does not mean that the GOP adheres to their professed ideology perfectly — Trump is a perfect example. But, the GOP is united and identified by ideology.) That’s not just a GOP characterization; even liberals like Ezra Klein characterize the parties that way [https://www.vox.com/2014/9/15/6131919/democrats-and-republicans-really-are-different]. Ideology transcends individuals and, thus, helps the GOP insulate themselves from Trump fallout. So which is worse—Trumpian hypocrisy and dystopia, or GOP-establishment hypocrisy and dystopia? And yes, the Donks are just as bad. Bush jr. and the establishment got us into Iraq-Afghanistan, for cool $6 trillion and counting, for counter-prouctive results. Tar-baby wars. Read the “expert” or establishment foreign policy blogs. They are recommending we double down on Iraqistan. Real wages for young men in the U.S. are down 31% since 1969, or so cites Tyler Cowen. Property zoning and tight money are suffocating U.S. economic growth. Add trade deficits to property zoning, and you get exploding house prices. Dudes, you can drink the red kool-aid, the blue kool-aid or the Trumpian Royal Purple Deluxe kool-aid. I guess bombing multiple nations at any time is the new norm. Trump fires Comey and it is a firestorm. Do you think D.C. is becoming a self-reverential cocoon? Oh, maybe…. But the media was just as hard and unfair on Obama! My God, we have actually gotten to the point where unnamed, unverifiable sources can literally say anything and the Media treats it as fact? DC Bar Manager says Police did NOT ask for Video and did NOT Interview Staff regarding SETH RICH! I think this ends badly for everybody except Alex Jones. In an era of the deep-state coup, the paranoid thrive. The GOP splinters (Neocon/TEA/SocialCon), the Dems splinter (Union/SJW/globalists), the Libertarians will continue to organize on a platform of anarchy, and media will continue to fracture into non-intersecting bubbles. Worst case scenario is #Resist being taken up by the nation’s gun owners and law enforcement instead of the Snowflakes. Again, good for Alex Jones and other purveyors of heritage seeds. I have an open mind. So let’s assume Trump is incompetent and got the intelligence of a child. It might be true. But if this is really true then removing him from office should be easier than taking candy from a baby. Or not? Two questions arise at this point: 1) Why didn’t it happen already? 2) How could an incompetent guy with the intelligence of a child become POTUS in the first place? The mainstream theory might be true but it implies that the GOP, Hillary, the Donks, and the media basically lost to a guy who is too stupid to tie his own shoelaces. The Revenge of the Buffoons? Tuesday’s budget will be more significant, because it will seek changes to entitlements — programs that are essentially on auto­pilot and don’t need annual authorization from Congress. The people describing the proposals spoke on the condition of anonymity because the budget had not been released publicly and the White House is closely guarding details. The proposed changes include the big cuts to Medicaid. The White House also is expected to propose changes to the Supplemental Nutrition Assistance Program, though precise details couldn’t be learned. SNAP is the modern version of food stamps, and it swelled following the financial crisis as the Obama administration eased policies to make it easier for people to qualify for benefits. As the economy has improved, enrollment in the program hasn’t changed as much as many had forecast. An average of 44 million people received SNAP benefits in 2016, down from a peak of 47 million in 2013. Just 28 million people received the benefits in 2008. SNAP could be one of numerous programs impacted by changes in work requirements. Josh Archambault, a senior fellow at the Foundation for Government Accountability, a conservative think tank, said that giving states the flexibility to impose work requirements could lead to a raft of changes to programs ranging from Medicaid to public housing assistance. Trump landed at Ben-Gurion International Airport for a two-day visit to Israel and the Palestinian territories as part of his first trip abroad since taking office. While neither country is in a position to dictate to Trump where to fly, his arrival nonetheless reflects the warming relationship between them. That is hilarious, when it is the media such as the NR that is itself creating fake stories and creating controversy. There is documented proof of this occurring again and again. Where is the proof this isn’t occurring? Citations of “Anonymous sources” and “US officials” do not count. Then Sumner cites a David Brooks *opinion* piece, which is not news at all. Here’s another open-minded reporter. He hates Trump’s policies with a passion and yet doesn’t assume every anonymous source quoted in the Washington Post is telling the truth. Come on Sumner, where is the evidence based claims? 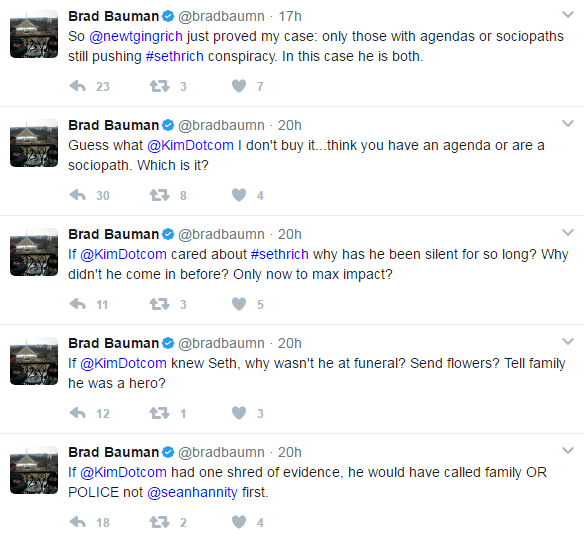 Why would the “spokesman” of a family whose son was murdered be so rabidly against people who may have information about his assassination coming forward? Does he have additional information he is not letting on? The media is quiet these past couple of days. My guess is that they are in talks with their Democrat handlers to see which way to distort the Seth Rich revelations to fit their narrative. Saying “I faced great pressure because of Russia” to Russia? Of course not one peep of this from CNN (who themselves have had a class action suit brought against them), NYT, WaPo, or any of the other deep state propaganda outlets. In the end it’s just about policy. This explains perfectly why the media, the Donks, and the “Moderates/Independents” hate Trump so much: They pretty much completely disagree with his policy. This also explains nearly perfectly why the GOP and its base still stick with him: They see his flaws but so far they are in agreement with his core policy about tax cuts, deregulation, immigration, foreign policy, welfare cuts, and really big government in other fields. Lois Lerner, Loretta Lynch, and Brian Pagliano plead the 5th Amendment – and the media protected them. Michael Flynn pleads the 5th – and he’s branded a criminal. See how the MSM operates? The law firm that issued the cease & desist letter, Kutak Rock, apparently was joined by several high profile lawyers from the Rose Law Firm in 1998. Guess who was the first female partner at the Rose Law Firm? Hillary Clinton. This story also includes the name of the lawyers who left the firm. Kutak Rock has also given significantly to the DNC in the Obama and Clinton campaigns. What are the odds the law firm connected directly to the same law firm Hillary Clinton was a partner at are the ones working on behalf of a killed DNC staffer? 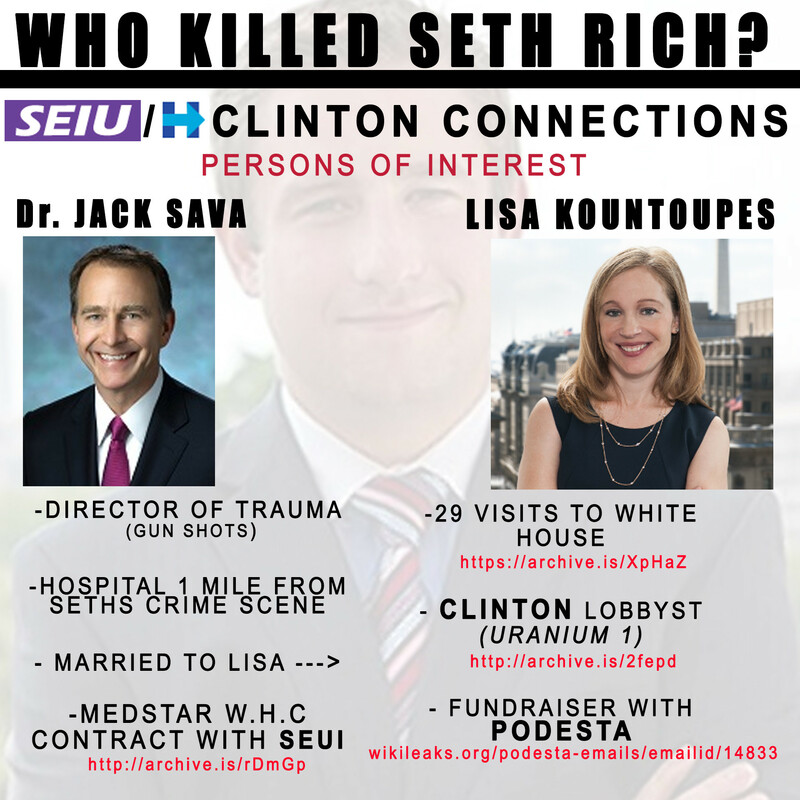 SEIU is the group that actually assassinated Seth Rich. Seth Rich’s cousin said he did not delete his comment from Twitter, but it was deleted. That first excerpt reminds me of one of your points, that is that polls are not so a good a measure of what people want. Blue collar people tend to be very anti-international trade, but they know so little about it that explaining some things to them will often get them to switch sides. I have a blue collar, low income friend who was complaining about Mexican immigrants to me in quite an emotional way. I told him that immigrants rent and buy homes and food and stuff and how much poorer poor Mexicans are than low income Americans like him and that they were just trying to improve their prospects and those of their children. He softened and said “yeah I would probably do the same in their situation.” That was all it took. Pro-Trump people think that they want to cut off trade until they hear about the costs and they are anti-immigrant until they think of immigrants as people. Whoops, just an FYI on that Glenn Greenwald article I linked above–it ran in mid-March 2017. So it’s still valid but I thought it was recent when I posted it. Not surprised at all to see Bob Murphy and cap’n troll shill for Trump. Scratch a “libertarian” long enough and you find an old fashioned conservative. BC, The GOP is built around ideology? Really? What ideology is that? Bob, I read that post you linked to without knowing the date, and was going to completely trash your argument, as that article would have been completely false if written in the past few days. The fact that you thought it was written in the past few days and still linked to it speaks volumes. MSNBC, CNN, the NYT, the WaPo, etc., etc., state over and over and over again that there is as yet no evidence showing collusion between Trump and the Russians. This “scandal” is about a completely different issue—obstruction of justice. The 4 liberal news outlets I just cited have been far too easy on Trump over the past week. Even if there was no Russia collusion, Trump needs to be impeached right now. “Trump just signed a $460 billion arms deal with Saudi Arabia. . . . I think that’s up to the Members of Congress. They didn’t impeach him so far so I assume that the majority sees no need to impeach him right now at all. ‘On Thursday, a group of scientists, including three working for the U.S. Geological Survey, published a paper that highlighted the link between sea-level rise and global climate change, arguing that previously studies may have underestimated the risk flooding poses to coastal communities. Yeah, as a guy sympathetic to many of Trump’s stated goals, and even to Trump himself as larger than life 80s New York personality/Billy Flynn style American huckster, I have to say that Trump’s administation is worse than a crime – it’s a mistake. 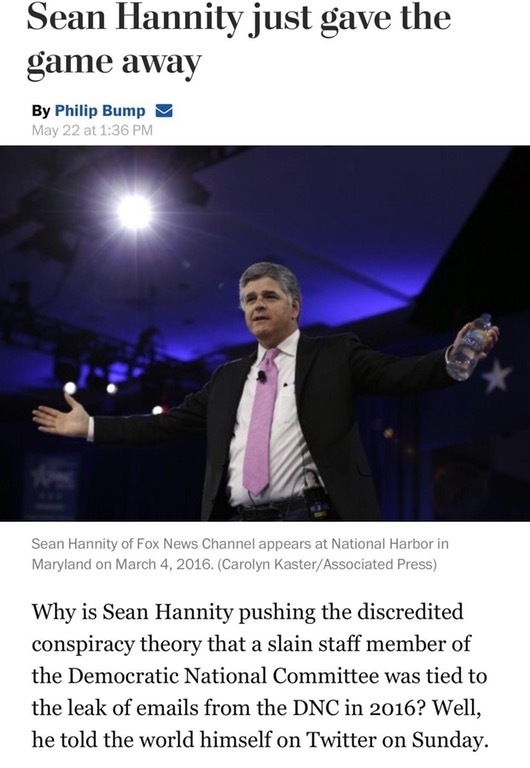 This was all on purpose, not to discredit the theory, not to ensure their viewers have the facts, but to continue to push the narrative there has been collusion, and it is just a matter of time before the evidence comes to light. They’ve been doing this since the election! acting FBI Director McCabe testified under oath there has been zero obstruction, and yet the media kept pushing the narrative that there MAY have been obstruction, again to convince their viewers that there was and it is only a matter of time before the evidence proves it. Then after Comey was fired all of a sudden we’re told there was obstruction again? Say what? Don’t you see that Comey would have been legally obligated to disclose obstruction as soon as it happened, lest he be charged with a felony, and possibly disbarred? Are you claiming Comey broke the law back when he was Director? Did the acting Director break the law? Is the Russia collusion story fake news? Now you are saying obstruction? Of what? Of investigating something that did not even happen and has been claimed by the parties involved did not happen? Speaking of obstruction: what is erasing emails, hammering phones and bleaching your server? 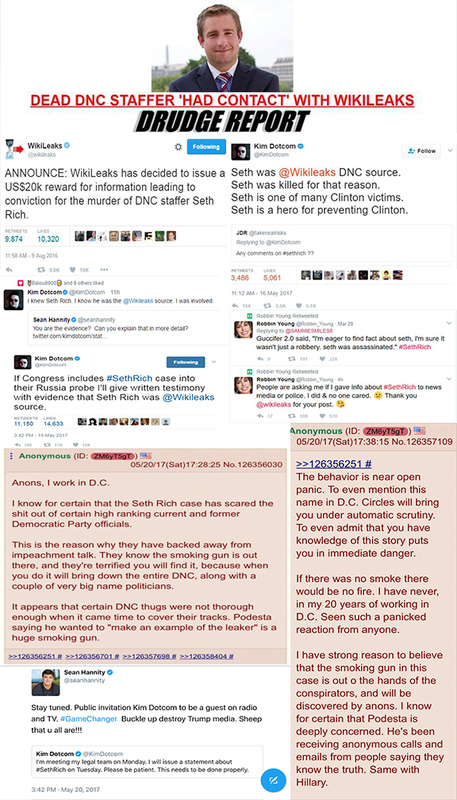 What is attacking and covering up research of Seth Rich’s murder? See, the real issue here is that you already have a prejudiced set of beliefs, and you WANT to believe the fake news to be real news. Bob, No evidence that Trump is trying to stop the investigation? First he asks Comey for “loyalty”. Then he asks him to stop the investigation. When Comey refuses he fires him. Then he brags about the firing to the Russians, saying it takes the pressure off on the Russian investigation. So, Inspector Clouseau, er, I mean Bob, you still don’t see any evidence of obstruction of justice. Everything you are claiming as “fact” there comes from anonymous sources. This was the situation we were in a few months, when people were so sure that Trump’s team had colluded with the Russians that talking heads all confidently ran with that narrative (as illustrated in the March Glenn Greenwald story I linked above). It’s amazing to me that you just slough all that off like it was nothing, and now move on the obstruction of justice stuff, again with the same foundation. It’s like Fox News guys who had no regret over the WMD claims in Iraq, and then seamlessly went into saying we should bomb Iran because they’re stockpiling WMDs–I mean, the intelligence community says so! Last one and I’ll move on: Scott, don’t you think it’s weird that the NYT would apparently run a story about the alleged Comey memo(s), when the anonymous sources giving the info to the NYT wouldn’t even provide the reporter with a (possibly redacted) copy of the memo? They weren’t claiming that the memo got burned up in a fire, the claim is that the memo still exists. That doesn’t in the least bit set of your spidey sense that something is odd about this situation? You don’t think there was anything weird about Comey’s behavior before the election (remember, when Democrats were outraged and ended up calling for his resignation / firing), and then he says nothing about being pressured in his Senate testimony, but then *after* he gets fired he suddenly brings up how Trump committed a crime back in February? You really think the proper thing here is to just assume the NYT / WaPo version of history is the full truth, and that anybody who questions all of this should be sarcastically mocked? @Sumner, you should change and support Trump’s advocacy for a more Canadian style immigration system that tries to select for people who will contribute to the host society. That should be the mainstream common sense position and it is considered some fringe extremist view. You have said that Trump lies, but you can at least say that his claimed intent of Canadian style merit immigration should be the reasonable mainstream view and is not some extremist viewpoint. The debate on immigration is toxic and absurd and Trump is absolutely not the worst or primary offender there. The entire public discourse on race/ethnicity/immigration is deeply dishonest. The unselective open immigration model of Caplan seems horrific. I’m writing this from Italy that has recently imported large number of Sub-Saharan Africans and people from North Africa to the horror of most of the existing population of Italy. Seeing the country first hand, that looks like a terrible idea. I agree with free-trade, and the rest of free market ideology. And Italy needs more of that and more modern competitive industry and to attract more globalist employment. The cab drivers I talked to hate Uber/Lyft and apparently successfully got those services booted out. That’s bad. With this “new information”, will Sumner be “open minded”? Bob, It not true that everything I said came from anonymous sources. And the White House isn’t even denying the claim that Trump told the Russia that firing Comey took the pressure off. Instead they are defending his comment. Do you really think they’d defend it if the transcript showed it didn’t happen? You need to accept the fact that Trump tried to obstruct justice. Not wanting it to be true because you like Trump doesn’t make it false. Dozens of people in the White House were given transcripts of the meeting—and none of them are deny that it’s in the transcript. Look, some people have a nose for reading between the lines on news stories, and some don’t. I’m pretty good at telling which new stories should be believed. (The Seth Rich story is obviously just for tinfoil hat loonies, for instance.) I’m not right 100% of the time about which are correct, but almost all the time. And my nose tells me that Trump fired Comey because he was upset about the Russia investigation. There’s way too much smoke here for this all to be made up. My subjective probability of being wrong on this point is less than a tenth of my subjective probability about being wrong about market monetarism. Wow that was arrogant. Apparently we have found a source for truth in the world of debate. Sounds a bit like a circus act. Maybe you can get a retirement job with the local carnival, solving all the worlds problems. Just to be clear, the above comment references being “pretty good at telling which new(sic) stories should be believed” is damn near discrediting for an intellectual. Clearly the case of an ivory tower guy who believes himself superior to the average person as well as his own contemporaries. Laughable. Almost all of what you have written about Trump has come from anonymous sources, let that sink in. They aren’t denying many accusations, and even if this particular point of the pressure being taken off is true, it doesn’t actually imply any guilt, but depressurization from the lying deep state. Destroying a false Russia collusion narrative cannot be obstructing justice, but would in fact be in the interest of justice. You don’t want to accept the fact that the Russia collusion narrative is a lie, created by the democrats to excuse their loss, and to undermine Trump. Anonymous sources yet again! 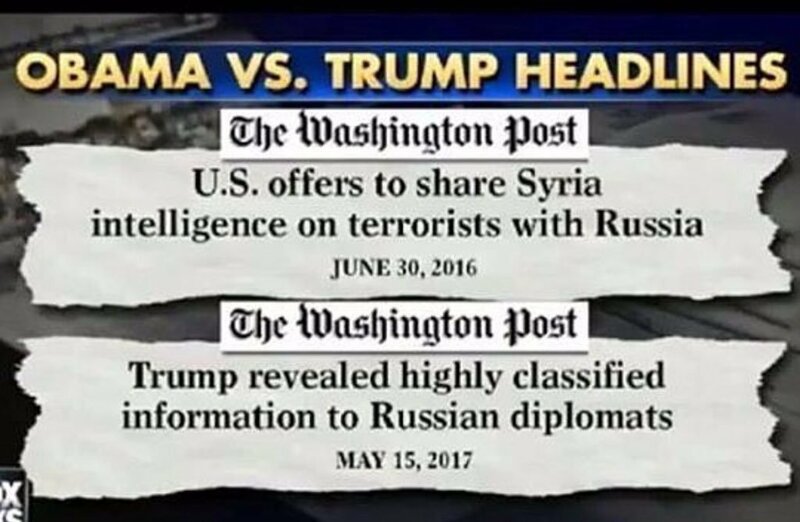 Podesta works for the WaPo now and he is using that newspaper to push his false narrative. And as with all liars, they often can’t keep their lies consistent. 1. Trump’s allegations of being wiretapped were completely unfounded – yet, the wiretapping revealed the gigantic collusion between his campaign and Russia! 2. Kushner tried to establish a confidential channel between the US and Russia – yet, as we all know, the Russians had been involved with Trump’s campaign for years and years, leading to him being elected. 3. The Russians hacked the elections so profoundly because of their terrible collusion with Trump and his campaign, that the unspeakable happened and the people voted for the wrong guy – yet, you have to keep in mind, that, in fact, Hillary was elected because she won the popular vote. Neither Murphy nor I nor many others against the deep state “like Trump”. You’re thinking like a 12 year old. Just because someone doesn’t irrationally hate a person, it doesn’t mean they like them. One needs a working brain to have a working nose. You are not very good at all at determining which stories should be believed and which should not, because the stories you are implying your readers should believe, have been proved false, over and over again by the news sources you don’t read, for obvious reasons. That’s where you’re wrong kiddo. In fact, the story of Seth Rich being murdered by the DNC has more evidence of being true than the story of Trump colluding with Russia. Not only that, but there is also more evidence the Democrats rigged both the primary and national elections. You seem to have no clue that democrat voter fraud was uncovered, in many places across the country. Millions of votes on favor of Hillary were likely invalid, but counted anyway against Trump, and Hillary still lost. You just don’t want to accept the fact that a person you hate, by all evidence was legitimately elected. The Russia investigation was over by the time Comey was fired. And you have to ask why would Comey keep failing to charge Clinton, and if you research more, which you don’t do, then you would find collusion between Comey and Clinton that dates back years. Look up HSBC and Comey. Look up how a person without any law enforcement experience, with heavy ties to Clinton, would become head of the FBI. That’s where you’re wrong again kiddo! All that smoke is part of a well financed, disinformation campaign. One tenth of 0 is still 0. Given that this blog’s author openly admitted that he rejects forensic and scientific evidence, and instead favors “his nose”, is sufficient to identify this blog as a propaganda outlet. 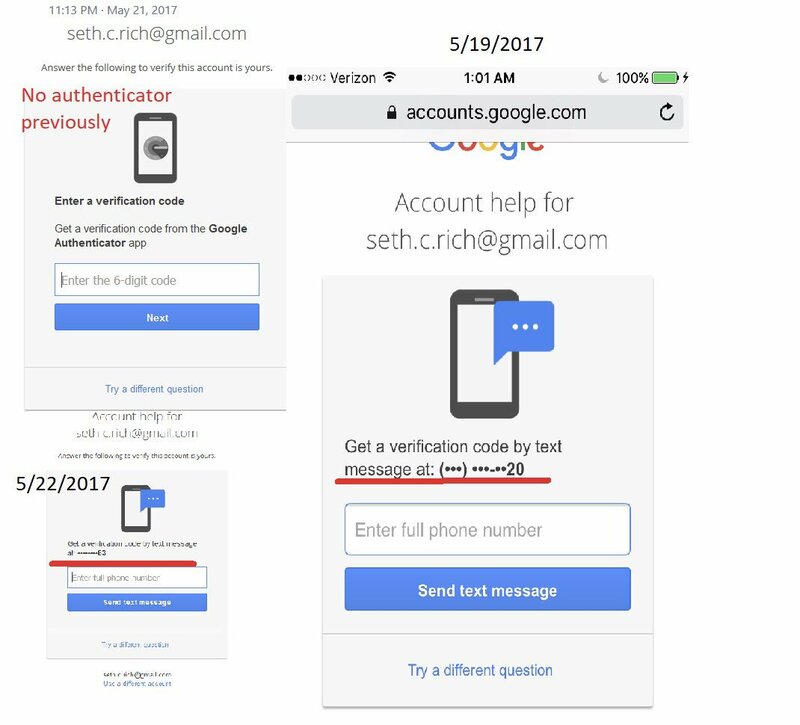 Seth killed bc he discov huge scam: DNC duplicated polling places, voting machines, & votes to cheat Sandrs in primaries.